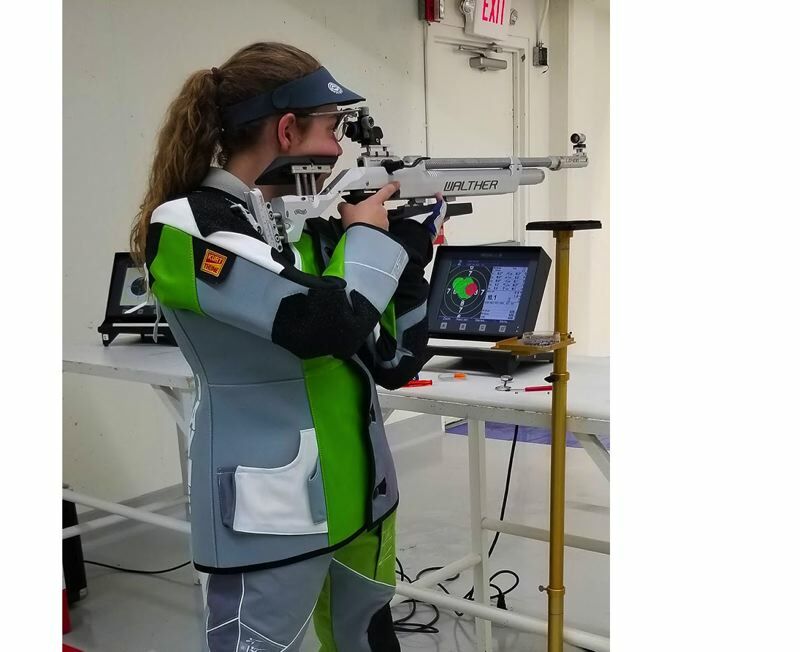 Jayne Fraley took first place in the state Olympic shooting competition and qualified for the Junior Olympic Championship in Colorado Springs, Colorado, this April. She is a senior at Oregon City High School and participates in the Junior Reserve Officer Training Corps. "I've been doing air rifle and small-bore shooting for four years as part of the JROTC program at my school," Fraley said. "I also train at the Tri-County Gun Club." Fraley credits her success to support and inspiration from JROTC leader Maj. Doug Thomas and her coach Phil Boss, who died last June. OCHS's JROTC program is one of only five in the state. Fraley hopes to attend the U.S. Naval Academy after graduation in June.